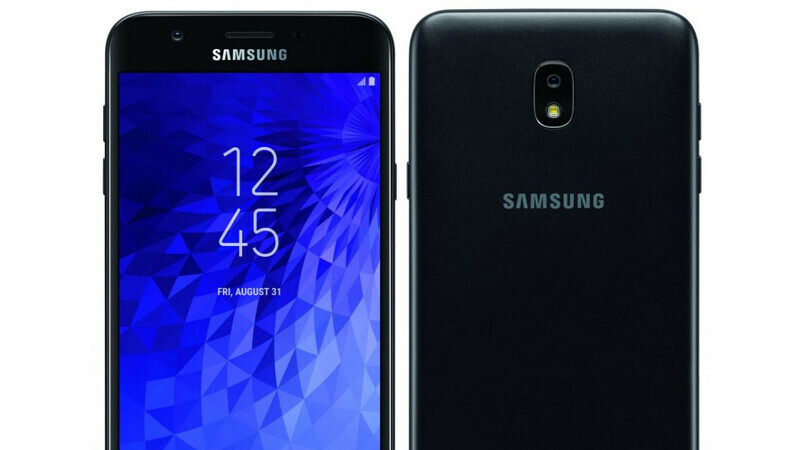 Samsung announced last month that the Galaxy J3 and J7 (2018) will be launched in the United States at multiple carriers. Many of them have already done that, even though each carrier renamed its own version to differentiate it from the others. Verizon launched the new generation Galaxy J3 in the last week of June and is about to introduce the Galaxy J7 (2018) as well. The smartphone has been recently spotted at Geekbench and from what we're seeing in the listing, it's going to be a basic mid-range device specs-wise. The Galaxy J7 (2018), which will be released at Verizon as Galaxy J7 Aero, will pack 2GB RAM and an Exynos 7885 octa-core processor. Also, it will run Android 8.0 Oreo right out of the box, which isn't really surprising since the other models already launched in the U.S. come with the same version of the OS. If the rest phone's specs match those of the standard Galaxy J7 (2018), then Verizon's model should also sport a 5.5-inch Super AMOLED display with HD (720p) resolution, a 13-megapixel camera on the back, and a secondary 13-megapixel selfie camera in the front. 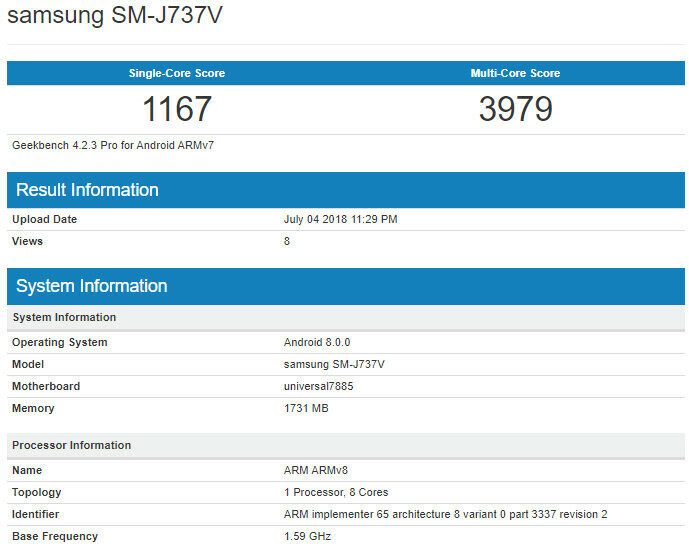 Although it's yet unclear when exactly Verizon will start selling the Galaxy J7 Aero, the phone's appearance at Geekbench suggests that it's coming very soon.